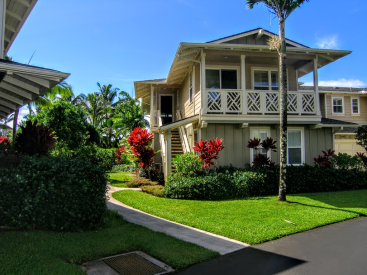 Premier location within Nihilani at Princeville. Enjoy sunset views from the main lanai overlooking the pool. The “Mahina” floor plan is the largest floor plan in the development. 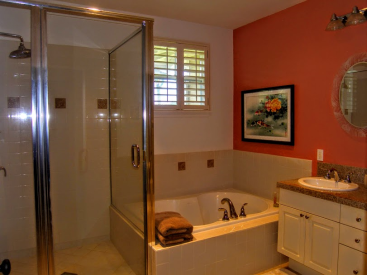 Two Master suites and a third bedroom with three full baths. All on one level. 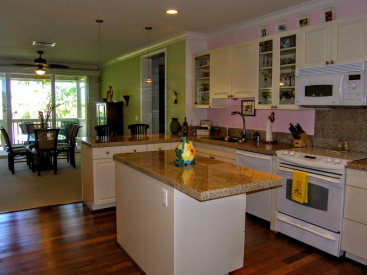 A large covered lanai off the dining/living are and a second covered lanai off the third bedroom. 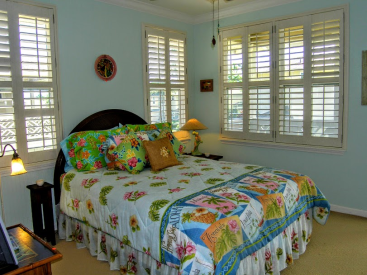 Upgrades and improvements include plantation shutters, coconut flooring at entry and in kitchen, bead board walls in all bedrooms, crown molding and custom kitchen cabinets with glass inserts. Upscale ceiling fans. Central air conditioning and a two car garage. 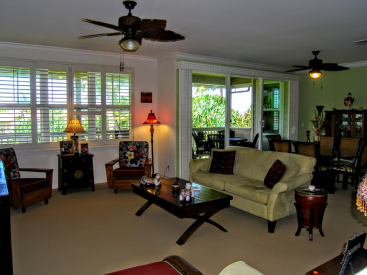 This condo has been a primary residence and then a second home for the owners. It has never been in a rental program but could make a great rental. It is in “like new” condition. It is being offered partially furnished.